We offer you a relaxed, friendly atmosphere on our working farm of pedigree sheep and beef. 4G is now available at our site. 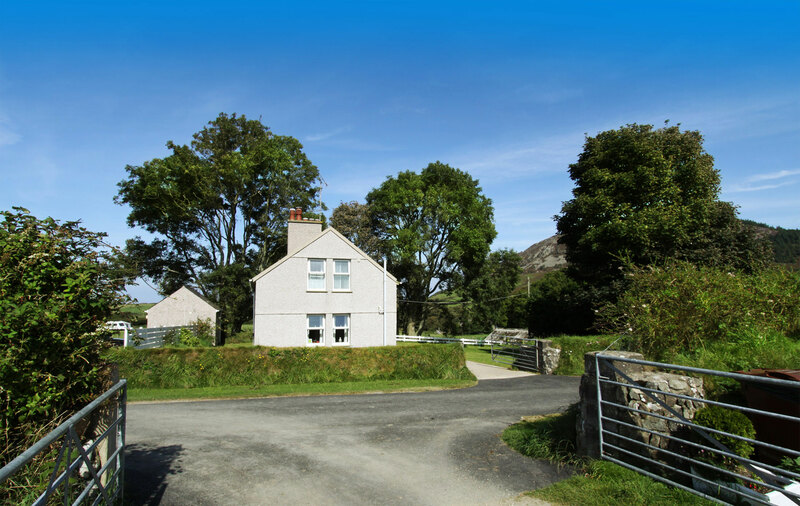 Garreg Lwyd Farm is situated on the quieter northern coast of the Llŷn Peninsula, an area of Outstanding Natural Beauty. 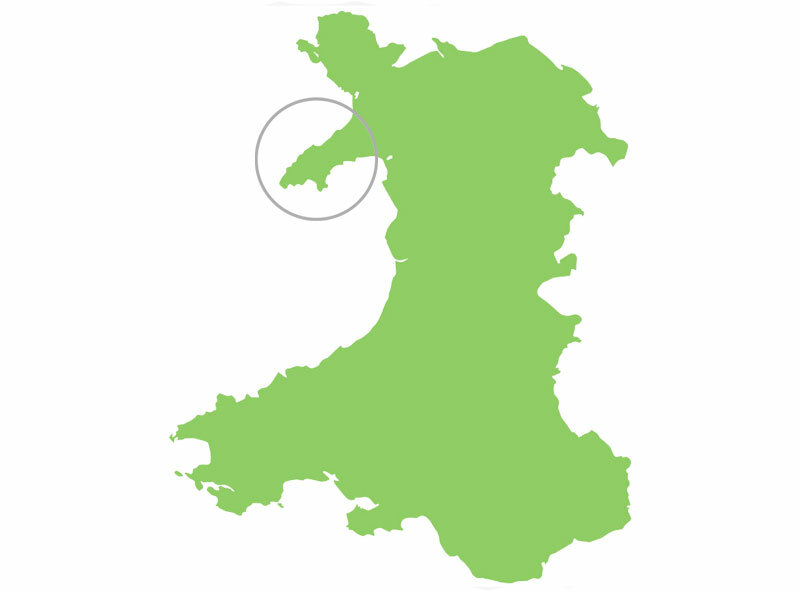 The farm itself lies at the foot of Garn Boduan, which is one of a line of volcanic hills forming the backbone of the LLŷn Peninsula. 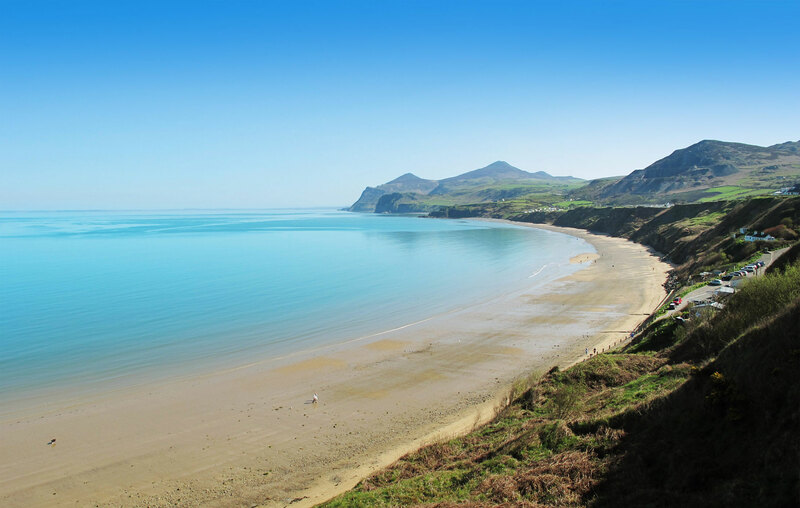 Garn Boduan is a favourite walk as the remains of round huts are still visible today as rings of stone on its summit, together with views overlooking Nefyn and Porthdinllaen bay. 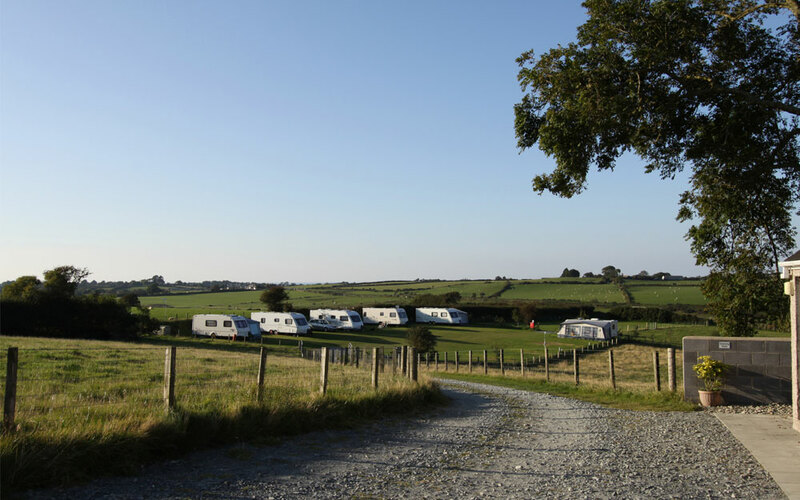 Set 1 mile inland Garreg Lwyd is the ideal location for a relaxing holiday, surrounded by open farmland and beautiful scenery, yet only a few minutes drive from Nefyn and Morfa Nefyn villages, and Pwllheli town is only seven miles away. 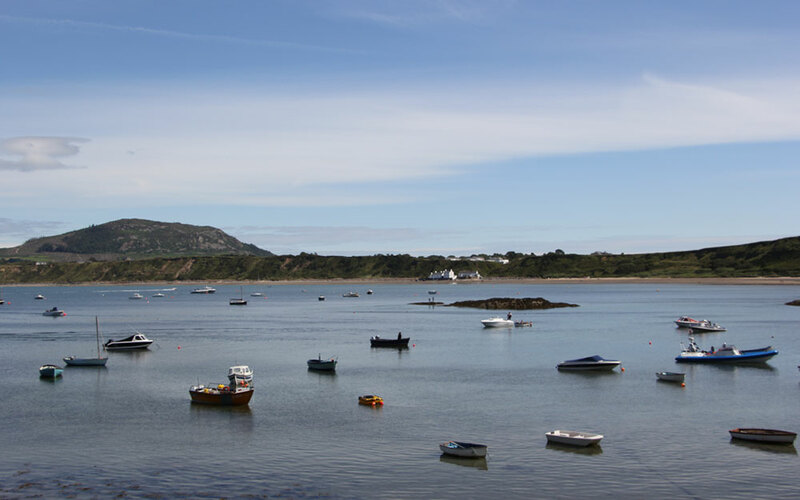 Two miles away from Garreg Lwyd (door to shore) is the picturesque Porthdinllaen beach. 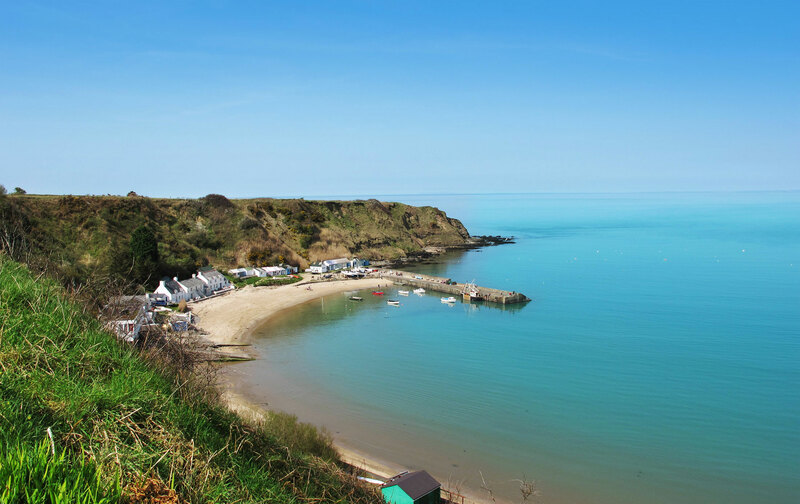 Owned by the National Trust, Porthdinllaen together with Nefyn and Morfa Nefyn beaches form a magnificent 2 miles of sweeping bay. 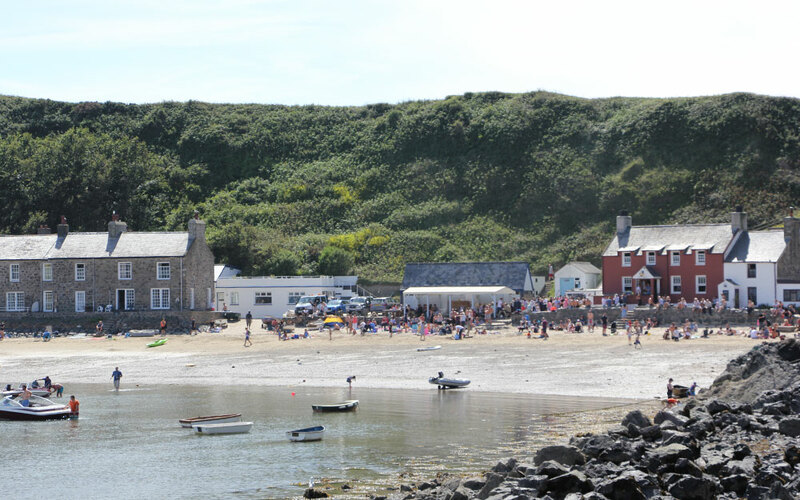 Accessed only on foot Porthdinllaen beach has an unique traditional pub, the " Tŷ Coch", right on the waters edge. 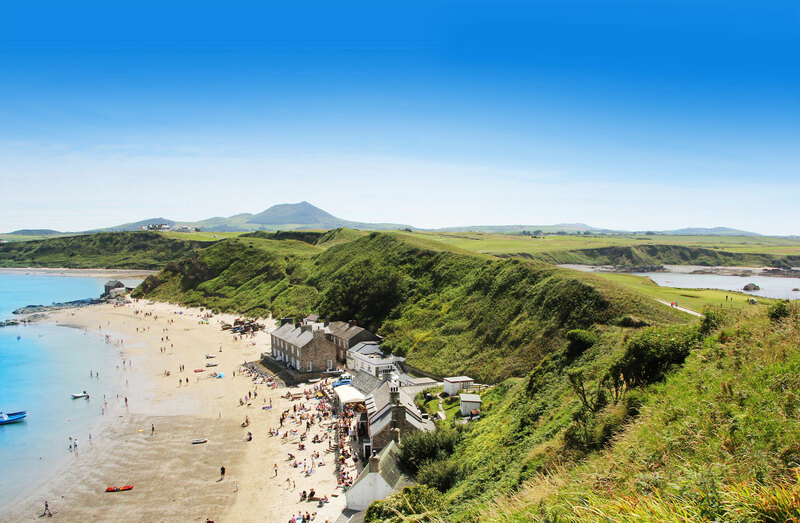 On the headland above is the magnificent 27 hole Nefyn & District Golf Cours while just around this rocky headland seals can be spotted. Click here for directions as Sat Nav not reliable!